Why Shift-Left Testing is Critical for Enhancing Software Quality? 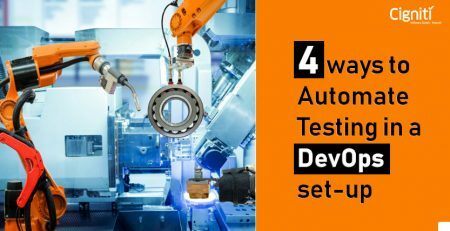 Driverless cars, hovering drones, monitoring robots, and tutoring machines are some of the massive technology advancements that need intensive software testing on a continuous basis. How can this be managed with the traditional testing approach, where testing is brought in at the end of the development process? The entire flow changes in an Agile environment where the development process takes the Shift-left approach where testing begins way ahead in the software development process and continues throughout. This approach is critical to test innovative technology and get products/services faster to the market. With the Agile and DevOps methodologies for development, the overall approach towards testing has revolutionized. In the shift-left approach, testing is no more a separate task that takes place post the development. Agile and DevOps makes the testing process more and more continuous – Continuous Testing, Continuous Development, and Continuous Deployment. This is possible with the Shift-left approach, where testing happens on a continuous basis and track the quality metrics on a regular basis, right from its inception. While the software is worked upon with development processes and testing approaches, there are real good chances that the software might lag in terms of quality from the user’s perspective. The functionality and performance has to be monitored on a constant basis in the real-world user environment. Testing is required at the beginning, during the development, and post production to ensure that the best quality software products are developed. Speed is a critical aspect, which makes Shift-left a preferred approach for enterprises. Agile demands frequent releases, faster feedback, and continuous development, which enhances the quality of the software released. 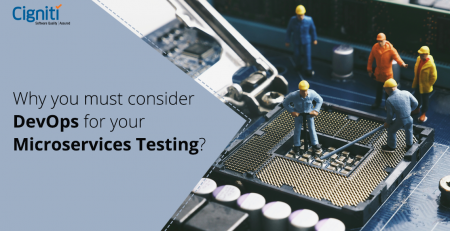 This means that different testers with varied skillsets get involved in the testing process. Moreover, developers get involved aggressively even in the testing cycle, which is initiated way ahead in the development process. The Shift left approach implies that testing and development will run in tandem and bring value to the software development process. As the name suggests, testing gets shifted to the left of the development process and deals with the defects on the go rather than waiting till the end of the process. In the Agile environment, this implies that the software gets faster to the market and can be updated on a continuous basis. Shift left testing approach introduces the tester right from the inception of the software development process. This eases the efforts of the developers while developing the software application that needs to meet the desired quality standards. An Agile approach cannot function without the concept of Continuous Testing and development. It operates on the fundamental premise that the software can be released at any time during development, or upgraded in case of commercial demands. The significance of Shift-left in an Agile set-up is indispensable, as it binds testing effectively with development and continues to ensure quality. Speed and Quality are two factors that are required for commercial success, as it brings sustainability and profitability. Shift-left approach brings Continuous Testing right from the beginning of the development phase. It helps in identifying and eliminating the errors at every stage in the development process. The approach comprises various types of testing for the concerned job, which entails regression testing and test automation. Shift-left approach makes the testing process more and more rigorous and aggressive. Enabling the development team to take off the defects/bugs way before the product reaches the users, is definitely an effective strategy. Eventually, the defects are reduced towards the end of the development and ultimately till the delivery/release happens. The process eventually gets economical and it gets easy to eliminate the tedious efforts. This brings down the time and costs for rectifying the software after it is released to the users or is completely developed. For instance, if defects are detected post development or launch, it gets technically and economically infeasible for making changes. Cost-effectiveness is absolutely critical for success in the commercial environment. Shift-left has been adopted by businesses to not just ensure quality and speed, but also bring cost-efficiency in the development cycle. As mentioned, Shift-left approach helps to bring more and more collaboration between development and testing. 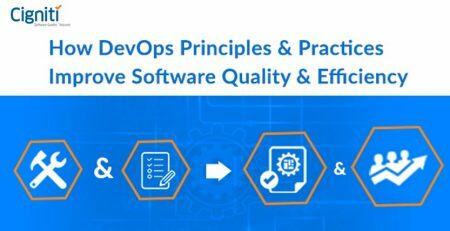 In this way, testing starts way ahead in the development cycle which opens up the software for review and rectification right from the beginning. This is one of the core benefits of the process, which helps to identify bugs and fix them in time. It is imperative to implement such approaches in a scenario that needs speed and sustenance. When bugs or defects are fixed in time, it helps to deliver products within stringent timelines and enables effective use of resources. When testers work with developers, the overall process helps in making the application stronger by effectively using the skills and delivering results. This further results in cost-effectiveness, which is essential for sustaining profitability in the commercial arena. Considering that the tests get executed right from the beginning of the development process, the applications can be assessed for all their features. In a way, the application/software gets tested for every functionality and performance. Enhanced test coverage further helps in ensuring the quality of the software. Collaboration is at the core of the Shift-left approach, where testers get involved right from the beginning of the development cycle. This results in better team dynamics and elimination of frictional differences. Ultimately, better collaboration results in effective testing and delivery of robust software. With testers and developers working together a better team is formed, who can give credible results. This further adds velocity to the development process and also ensures quality of the software. Continuous Development and Delivery is essential for successfully implementing shift-left approach, which is impossible without the much-needed collaboration among teams. Essentially, any testing and development approach that brings in speed, quality, and cost-effectiveness is always endorsed by businesses. Shift-left approach of testing is at the core of the Agile and DevOps methodologies. Eventually, the businesses that can sustain and deliver as per the requirements of the market can make it big in the commercial space. This is the very reason Shift-Left test strategy makes sense for delivering enhanced quality. Listen to our experts discuss the topic ‘Applying Shift Left Test Strategy for Higher Quality’ at the upcoming Meet-up in Philadelphia on August 31st. Why you must consider DevOps for your Microservices Testing?